Taylor, C.j. and Mélanie Fafard. "Historic Site". The Canadian Encyclopedia, 20 October 2015, Historica Canada. https://www.thecanadianencyclopedia.ca/en/article/historic-site. Accessed 19 April 2019. Many buildings have been designated as historic sites because of their association with the past. 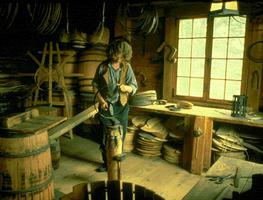 Fort William, Ontario, was the centre of the northwestern fur trade (courtesy Ontario Ministry of Tourism). 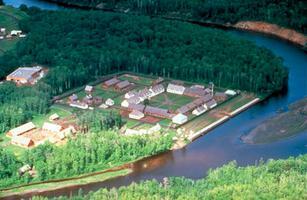 In 1717 James Knight built a permanent post about 11 km from the mouth of the Churchill River. It was called Churchill Factory until 1719, when the name was changed to Prince of Wales's Fort. By Samuel Hearne, circa 1799 (courtesy Library and Archives Canada/C-41292). 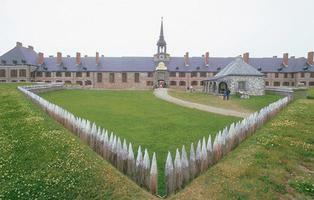 Louisbourg was a strategic fortress in the French American Empire (Corel Professional Photos). Fort Langley was initially a fur-trade post but soon became a provisioning and administrative centre for the Columbia District (courtesy Environment Canada). 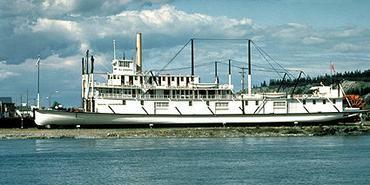 Historic sites are places that are recognized for their importance in Canadian history. Through their association with an event, a person, a place, or the built heritage, historic sites provide a tangible link with the past. They are part of Canada's heritage and contribute to define its identity. Many buildings have been designated as historic sites because of their association with the past. Buildings may be valued because of their age or architecture (eg, old RAILWAY STATIONS, GOVERNMENT BUILDINGS, HOUSES), because they are linked to important individuals (eg, PERKINS HOUSE, HALIBURTON HOUSE, McCULLOCH HOUSE), or because they represent an important aspect of Canada's history and culture (eg, the Banting House, where INSULIN was discovered). Sometimes, entire streetscapes (eg, Great George Street in CHARLOTTETOWN) or districts (eg, DAWSON or old QUÉBEC CITY) are designated as historic places. Historic buildings are often restored and used as HOTELS, MUSEUMS, or tourist attractions (seeTOURISM). Historic CANALS, LIGHTHOUSES, CEMETERIES and FORTIFICATIONS are other examples of the built heritage that are commonly designated. Old MONUMENTS or memorials that have come to assume the characteristics of historic sites over time are also commemorated. Examples include the BROCK memorial at Queenston Heights (destroyed in 1840 and replaced in 1853), and the monument erected in honour of MONTCALM and WOLFE in Québec City in 1827, which was possibly the earliest commemoration in Canada of an historic event. Many archaeological sites that illustrate important moments of Indigenous and European history are historic sites. They usually include structural remains (eg, L'ANSE AUX MEADOWS), artifacts (eg, DEBERT), or ROCK ART (eg, WRITING-ON-STONE) that are interpreted through ARCHAEOLOGY. Some of these places, such as Writing-on-Stone and SERPENT MOUNDS, remain sacred to their native traditional owners. Some places that do not necessarily contain historic buildings, structures or objects are also declared historic sites, because they have been the scene of important events or they are associated with a cultural group or tradition. 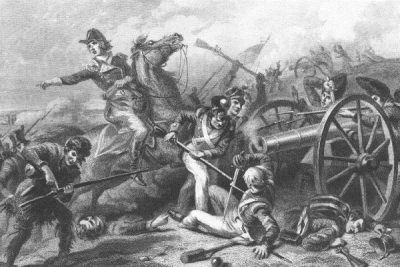 For instance, many places have been commemorated because of the historic BATTLES that were fought there. Other examples include rural landscapes such as the Central Experimental Farm in Ottawa, which reflects the 19th-century philosophy of agriculture, HISTORIC GARDENS and ABORIGINAL CULTURAL LANDSCAPES (eg, KEJIMKUJIK). Prominent individuals, such as PRIME MINISTERS, or political, military or religious figures, may also be designated under the national historic site program. In some cases, commemorative plaques are erected at a location associated with them. More common individuals who have influenced history are also being commemorated. Father MORICE, an Oblate missionary who worked in BC and wrote an Athapaskan dictionary, and Emily STOWE, the first woman doctor in Canada, are two examples. There is also a great variety of events that are being celebrated through historic site designations. These range from the THULE migration, to BASQUE whaling in Labrador, the entry of WOMEN IN THE MILITARY, the scientific PALLISER EXPEDITION to the Rocky Mountains, or the establishment of the INTERCOLONIAL RAILWAY. The main objectives of historic sites programs in Canada are to foster knowledge and appreciation of Canada's past and to help protect places associated with our history. Over the years, the criteria used to define and select historic sites have changed significantly. Interest in creating historic sites became fairly widespread in eastern Canada with the rise of nationalist sentiment at the end of the 19th century. Local patriotic and historical associations decided to preserve and mark places important to the historic identity of their particular regions and some argued that their sites were important also to Canada's history. It was also realized that historic sites could be popular tourist attractions, especially if occupied by picturesque ruins. In the late 1890s, Fort Lennox in Québec became the first commercial historic park in Canada; it was operated by a private entrepreneur. Following initiatives by Québec organizations in 1907, the federal government created the Québec (later National) Battlefields Commission to develop and preserve the site of the 1759 Battle of the PLAINS OF ABRAHAM. With no structures of the period to work with, the commission planned a landscape park with commemorative monuments. In 1919 the federal government established a program for the commemoration of places, persons and events of national historic significance. The Historic Sites and Monuments Board of Canada (HSMBC) was created under the wing of the National Parks Branch (now Parks Canada). The board consisted of an appointed body of senior scholars and heritage experts whose role was (and is still) to provide information and advice to the branch about sites, individuals and events worthy of commemoration. Subsequently most provincial governments appointed similar bodies to advise them on the creation of provincial historic sites. These programs generally focus on the designation of historic places, as opposed to events or persons. 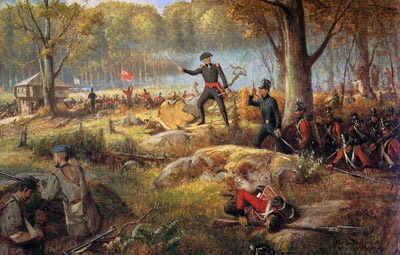 In the late 19th and early 20th centuries, sites were often chosen to commemorate important battles (eg, BATOCHE, CRYSLER'S FARM), great men (eg, Pierre De la VÉRENDRYE, Archibald LAMPMAN, Alexander MACDONELL), and political events such as the landing of United Empire LOYALISTS in New Brunswick, or the first meeting of the Executive Council of Upper Canada. Sites associated with the FUR TRADE (eg, CUMBERLAND HOUSE, PRINCE OF WALES FORT, FORT LANGLEY) were also commemorated in great numbers. Until the 1930s efforts at developing historic sites were largely confined to interpretive plaques. If historic ruins were present they were usually left unimproved, with minimal effort made to prevent further deterioration. Early initiatives to preserve historic buildings included the transfer of a number of old forts formerly controlled by the Department of Militia and Defence to the National Parks Branch, which turned them into national historic parks. Some of these forts, such as Port-Royal and FORT ANNE in Nova Scotia, did not stand any more and were reconstructed (ie, replicated) more or less faithfully. 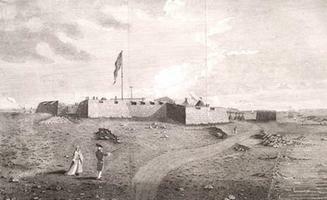 Other forts that were still relatively well preserved, such as FORT CHAMBLY (Qué), Prince of Wales Fort (Man) and FORT HENRY (Ont), were restored to their original state. In Québec and Ontario local groups successfully preserved some important historical buildings. The Montréal Antiquarian and Numismatic Society acquired the Château de Ramezay for a museum building in 1895 and Toronto historical groups fought successfully to save old FORT YORK from destruction. The success of large restoration projects in the US and the increased spending on public works during the GREAT DEPRESSION stimulated reconstruction and restoration initiatives in Canada. In the 1930s, the Niagara Parks Commission, an agency of the Ontario government, undertook four significant historic projects, two of which - Fort George at NIAGARA-ON-THE-LAKE and Fort Erie - involved reconstructing nonexistent fortifications. 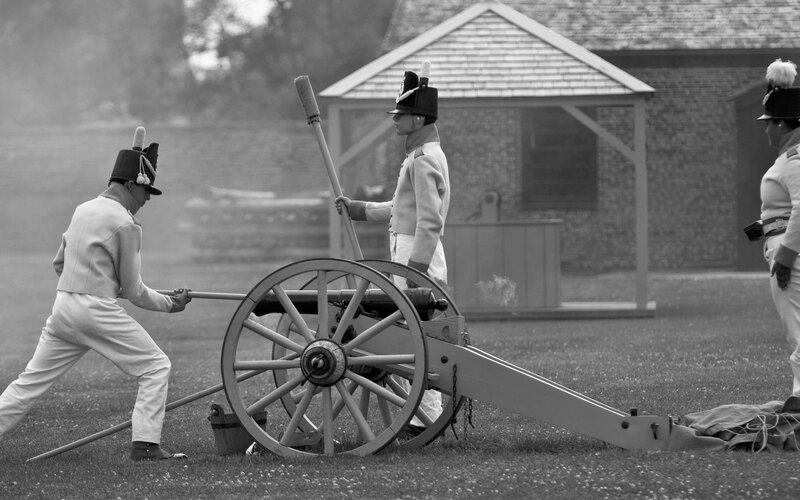 Subsequently the provincial and federal government undertook the restoration of FORT HENRY at Kingston. As they grew in age and maturity, historic sites programs broadened their horizons and diversified designations. In the 1950s, for instance, the HSMBC started to commemorate buildings based on their age or architectural value. Since then, the built heritage - historic canals, railway stations, streetscapes, districts, gardens, and rural landscapes - has received growing attention. In 1961, Parks Canada undertook the largest reconstruction project at the French fortress of LOUISBOURG, which was demolished by the British in 1758. The site was turned into an interpretive centre where costumed guides explain aspects of 18th-century life at Louisbourg. In other locations, artificial pioneer communities (eg, KINGS LANDING, UPPER CANADA VILLAGE) were created using historic buildings moved to the site. More recently, efforts have been directed at preserving buildings in their natural settings, retaining the original, or at least some practical function. Renovation and continuing maintenance are now favoured over reconstruction and restoration. Also in the 1950s, the HSMBC began to commemorate places, persons and events related to the country's economy (Alexander Graham BELL, the MOOSE FACTORY building), and social history (the GREY NUNS' Convent and Hospital, the ANTIGONISH MOVEMENT). The national historic sites systems currently covers Canadian human history under five broad themes: peopling the land; governing Canada; developing economies; building social and community life; and expressing intellectual and cultural life. In the 1990s, Parks Canada identified three areas that were underrepresented among national historic sites. These were NATIVE PEOPLE, women, and ethnocultural communities. Since then, efforts have been made to redress this imbalance. For example, the national historic sites system now better acknowledges the close relationship that native people maintain with the land through oral history and traditions, and it provides them with opportunities to share their heritage with other Canadians. The inclusion of Aboriginal cultural landscapes (eg, Sahyoue and Edacho, Nagwichoonjik) on the list of national historic sites was a significant step in that direction. Some provinces and territories (eg, Nova Scotia, the Northwest Territories) also consider Aboriginal cultural landscapes for commemoration. Places, persons and events associated with cultural groups other than the French and British are now being commemorated in greater numbers, and reflect Canada's cultural diversity. Examples of recent designations include the Buxton Settlement in Ontario, a farming community that was established by UNDERGROUND RAILROAD refugees; the Abbotsford Sikh Temple in British Columbia (seeSIKHISM), which is associated with the country's largest SOUTH ASIAN ethnic group; and the UKRAINIAN Wasyl Negrych Pioneer Homestead in Manitoba. The key role that women have played in the areas of health, power, work, education and technology is also receiving more attention. For instance, women's involvement in health is now celebrated through different designations, including Begbie Hall in Victoria, Jeanne MANCE, and the VICTORIAN ORDER OF NURSES. Several figures who have fought for women's rights, such as Edith Jessie ARCHIBALD and Marie GÉRIN-LAJOIE, have also been designated. Finally, the PERSONS CASE was declared an event of national historic significance because it established that women were full persons, equal to men. There are presently more than 1600 national historic sites scattered across Canada, including more than 800 places, 500 persons, and 300 events. The provincial historic sites systems also count hundreds of historic places of regional significance, whereas the northern territories are expanding or developing similar programs. Municipalities often have the authority to designate historic sites of local significance, and so do native groups on their lands if they are entitled to under SELF-GOVERNMENT. Historic sites may be designated at more than one level (eg, provincial and national). Many of Canada's historic sites are now listed on the Canadian Register of Historic Places, which is an online database that contains information about recognized historic places of local, provincial, territorial and national significance. Canadian Historical AssociationThe website for the Canadian Historical Association, a bilingual organization that serves professional historians and others with an interest in history. Check out the latest news and online articles. Canadian Heritage Information NetworkThe web site for the Canadian Heritage Information Network. Concerned with promoting the development, the presentation and preservation of Canada's digital heritage content for current and future generations of Canadians.